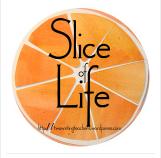 Slice of Life: What do you do at NCTE anyway? "24B." That was my seat assignment flying home from Houston after a weekend full of NCTE. When I got to the airport, and the seating chart of the plane flashed up on the screen, I laughed out loud. I knew I was late in checking in (I forgot to click that link that came across my screen 24 hours before take off), and maybe that was the reason for my seat assignment. I was in the last row. The very, very back of the plane. I was grateful for the man who checked my carry-on before I entered the plane since I had to maneuver all the way past everyone else. A young man sat next to me; he had the window seat, and I had the aisle seat. I'd noticed the two men who sat in the other side of the back row because one of them had on a pair of pants that made me laugh with something written about being happy right across their front. I wasn't sure if the three of them knew each other--I think they did---but my seat partner put on his headphones and the two across the aisle engaged in a competitive game of Mario Cart for a lot of the trip home. Every now and then, I looked up from my book and they cracked me up. Even the flight attendant sat down and challenged the winner. When I asked for some M and M's, he tossed me a bag, told me not to worry about it. I shared them with my headphoned seatmate. There's not much dialogue in this piece because there wasn't much talking. Just a sort of peaceful acceptance of riding in the back of the plane. We did talk when we landed, agreeing that the only real problem with being in the back was waiting for everyone else to get there stuff together and head off. I knew the three of them lived in Connecticut and had been visiting Houston. "We were at a rapper concert. There were thousands of people there," my seatmate said. He held up his phone and showed me his pictures. They'd had quite a party. "How about you?" he asked. "What were you doing?" "I was at a teacher convention," I said, prepared to be entertained by his reaction. "A teacher convention?" He looked at me like I was crazy. I wasn't disappointed by his reaction. "What do you do at that?" "Seven thousand of us," I said. "basically talked about how we can teach better." He shook his head, raised his eyebrows, and wrinkled his brow. "Kind of nerdy," I said. "We had some rapping there as well. Just probably not quite like yours, though." He still shook his head. "You must make a lot of money." It was almost midnight after a long few days, and I was tired. I wish I could have thought of a better, more enlightening response. Maybe, compared to him, I make a lot of money? What's a lot of money, anyway? "I think it's more that we choose to make it a priority," I said. "Maybe not so much how much you make but what you decide to spend it on." He nodded like he understood, but I don't think he did. I still wish that I'd done a better job explaining. Slice of Life: The tiredness would have to wait a little bit longer. For the last few weeks, I have been working in a third-grade classroom, side by side with the classroom teachers, doing everything we can to grow those writers. She had a group of them who struggled. Couldn't think of ideas. Couldn't remember what they were going to write. Couldn't spell a word and because of it sat paralyzed throughout independent writing time. Keep listing the couldn't's. Yep. All of them. Our goal has been to give these students courage and confidence to share their stories, and over the last week or so, we've seen it. Kids who have never written a story have tapped me on the shoulder. "Read this," I've heard. And guess what? They have really good stories! So today we asked them to write their best story. They didn't need to know it was code for an on-demand assessment. I brought eight of them down to my office, and seven of them got going with the process of planning and drafting, just like old pros. One of them sat there. She wrote a plan. Then she sat there again. She wrote a sentence. And then sat there. "What's going on here, M?" I whispered. "You've been writing great stories. What's getting in your way?" She stared at me, her eyes wide. "I'm so tired," she said. "I didn't get enough sleep at all last night." She went on to tell me about everything that had happened up until her much-too-late bedtime and then her much-too-early wake up time. "But you can still do this I said." I remembered some of the messages from a speaker our district had last week. (Lynn Lyons is phenomenal, by the way.) She had talked more about anxiety than about fatigue, but I figured close enough, maybe. One of her ideas involved having kids give their worry a name so that they can address it, rather than be held captive by it. "How about you talk to your tiredness and tell it that you have to get some work done. It will just have to wait before taking over?" M. looked at me like a was a little crazy, but she sparked up. And fifteen minutes, she had a story completed. Did I mention that I love this kid?